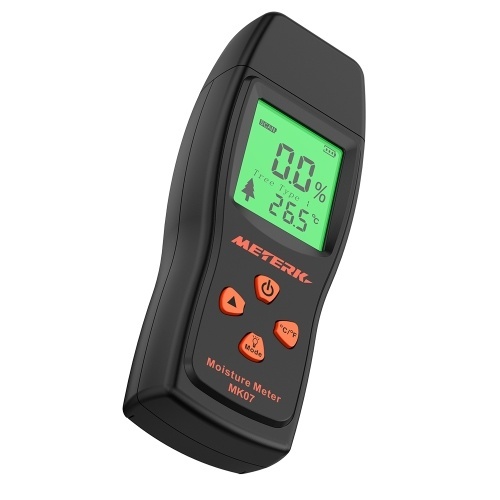 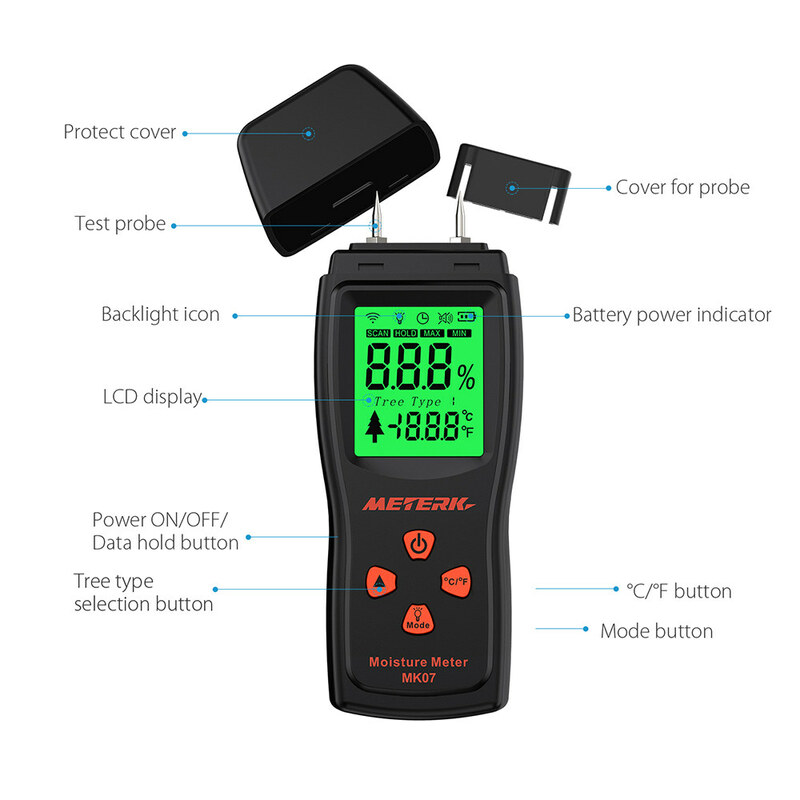 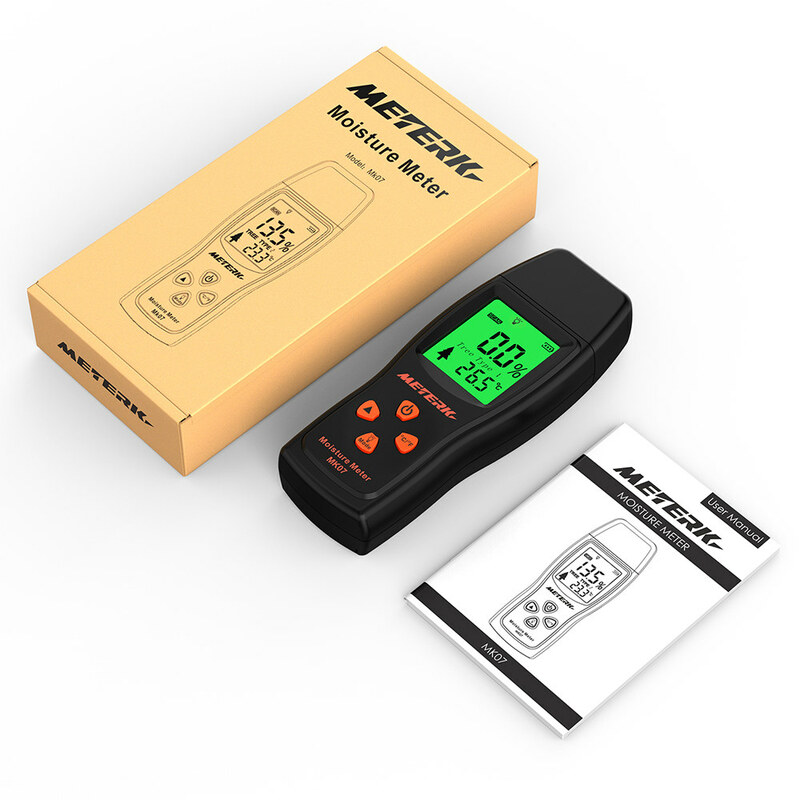 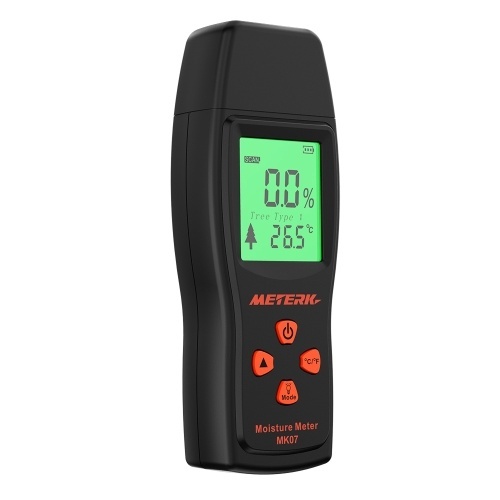 This Wood Moisture Tester is a professional wood moisture meter for measuring the moisture level in sawn timber (also paper and cardboard) and hardened materials (mortar, concrete and plaster) as well as the environment temperature. 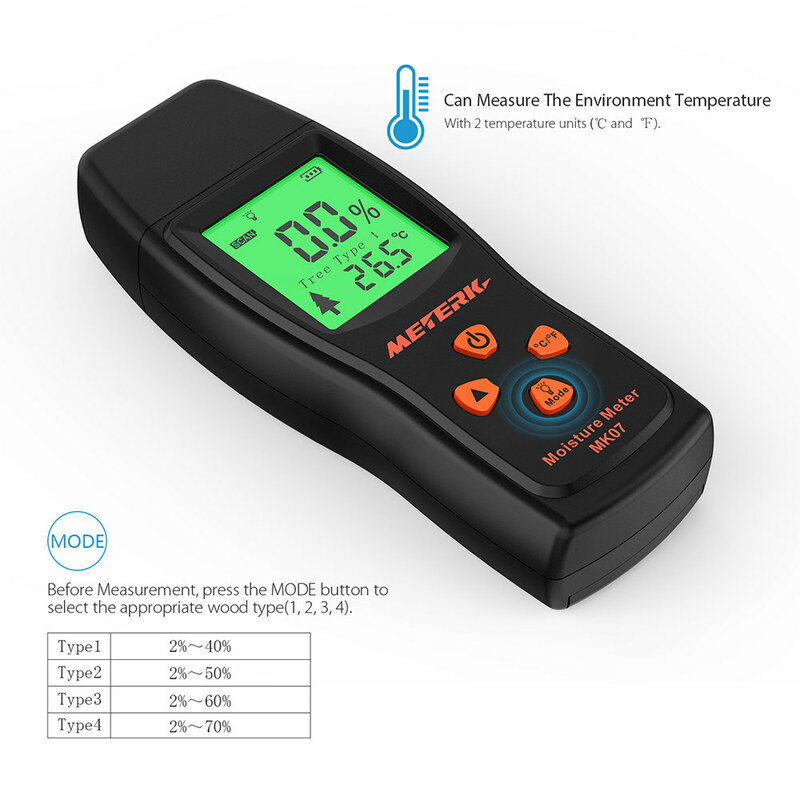 The measurement provides the basis for whether it needs to continue to dry or not, to better safeguard the wood quality for woodworking, building construction and agriculture industry. 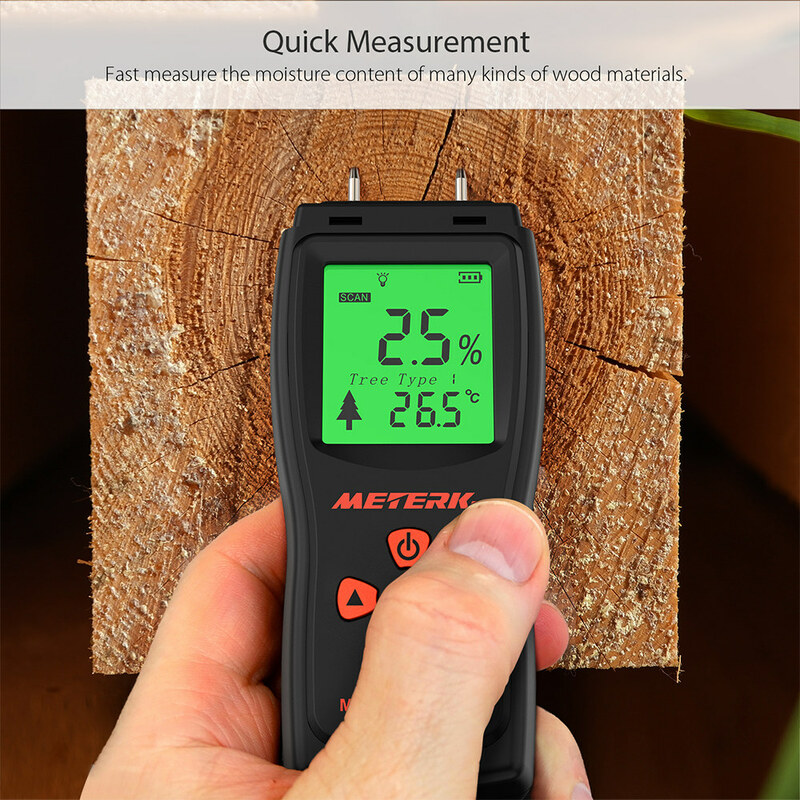 Quick Measurement - Fast measure the moisture content of many kinds of wood materials. 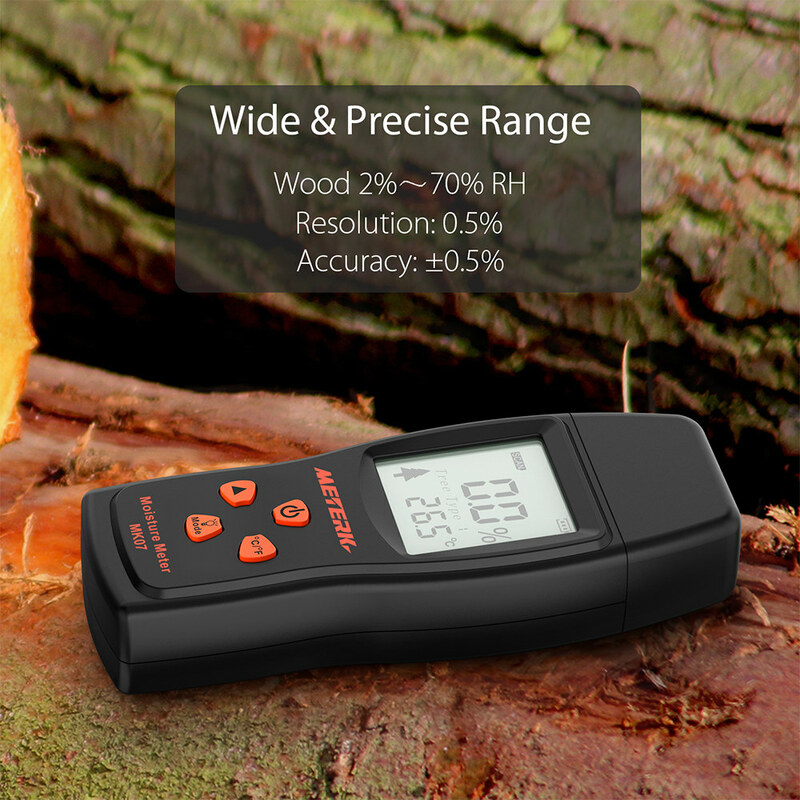 Wide & Precise Range - Wood 2%～70% RH, Resolution: 0.5%, Accuracy: ±0.5%. 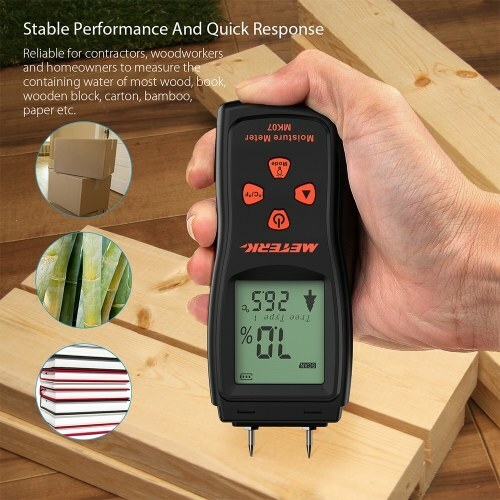 Stable Performance And Quick Response - Reliable for contractors, woodworkers and homeowners to measure the containing water of most wood, book, wooden block, carton, bamboo, paper etc. Before Measurement - Press the MODE button to select the appropriate wood type(1, 2, 3, 4). 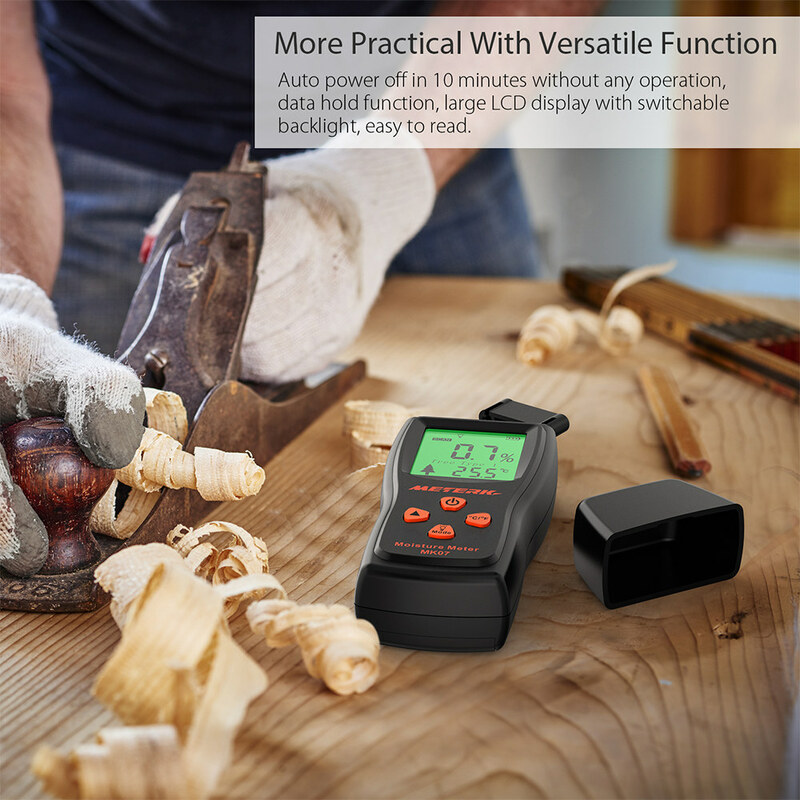 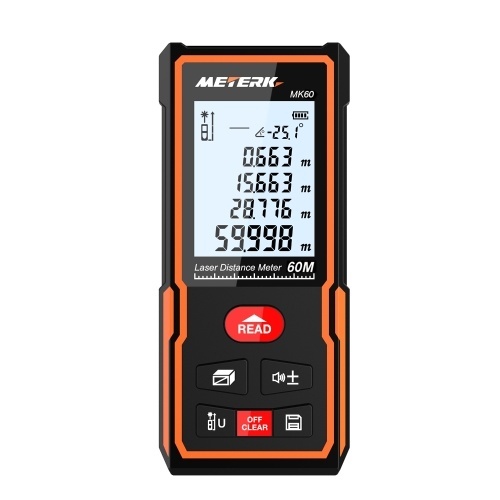 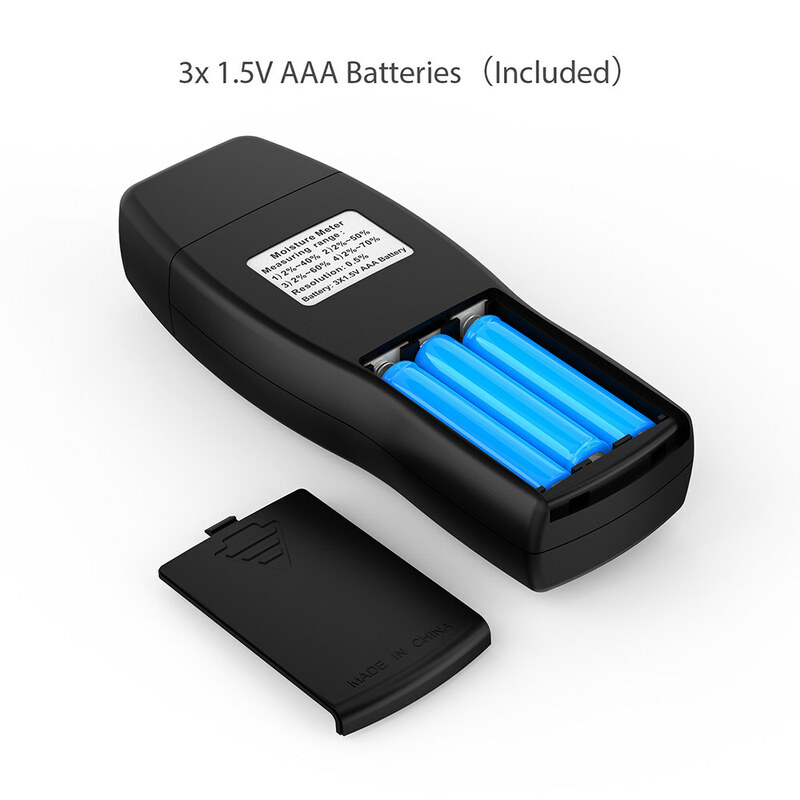 More Practical With Versatile Function - Auto power off in 10 minutes without any operation, data hold function, large LCD display with switchable backlight, easy to read. 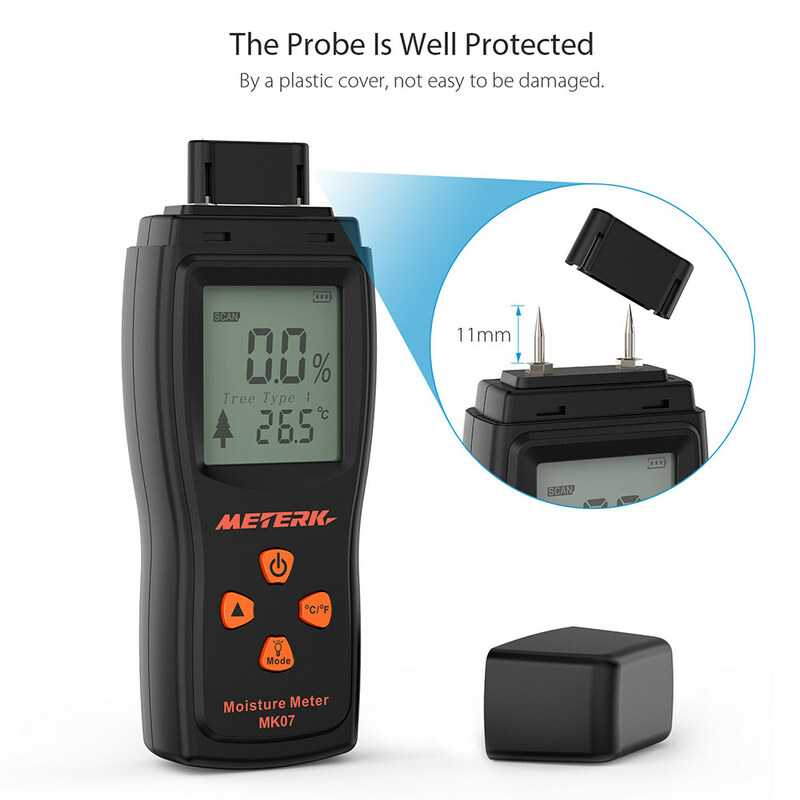 The Probe Is Well Protected - By a plastic cover, not easy to be damaged. 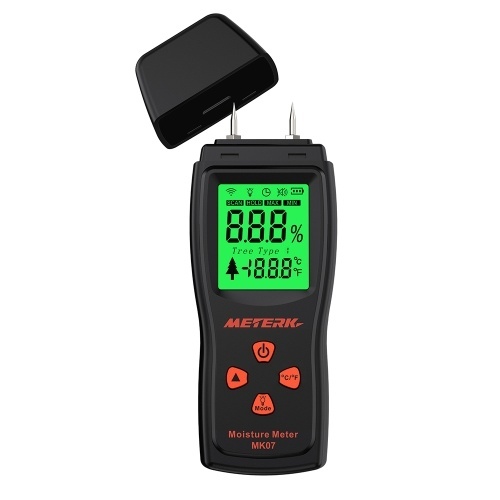 Stick The Probe Into The Surface Of The Measured Object - Moisture value will be displayed. 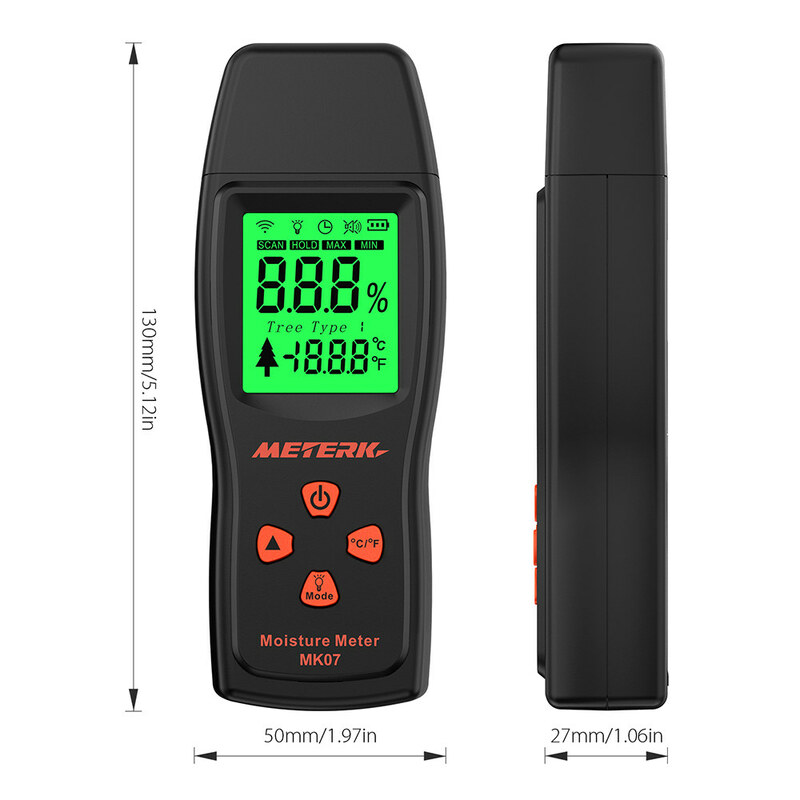 Can Measure The Environment Temperature - With 2 temperature units (℃ and ℉). Probe Length: 11mm / 0.43"